Late evening is Mara Korkola’s signature time of day. This is when she prefers to paint as it allows for uninterrupted sessions and working wet on wet, a technique that gives her paintings their lush and fluid surfaces. It is also her favourite time to photograph cities, when streets are devoid of human traffic and the lights emanating from buildings, headlights and street lamps appear jewel-like against the black sky. 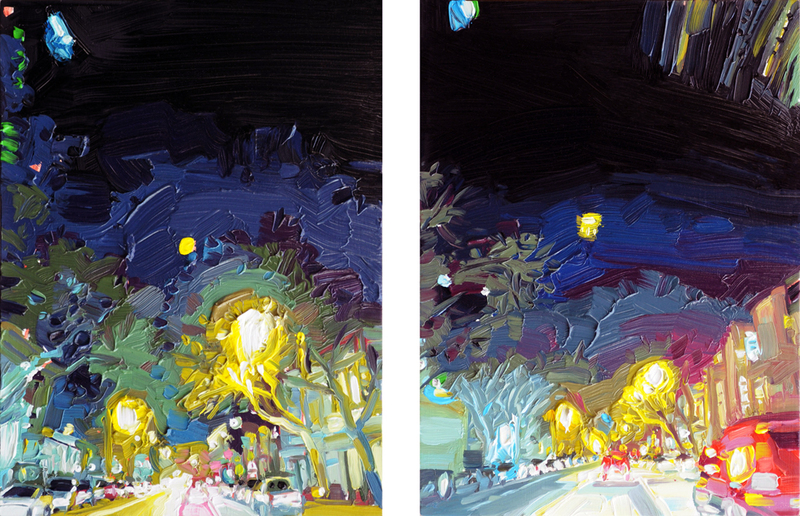 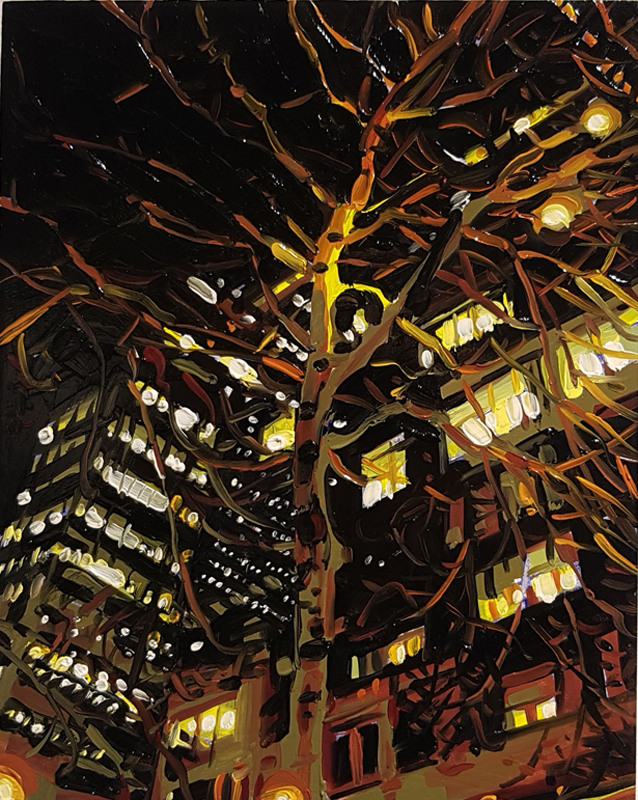 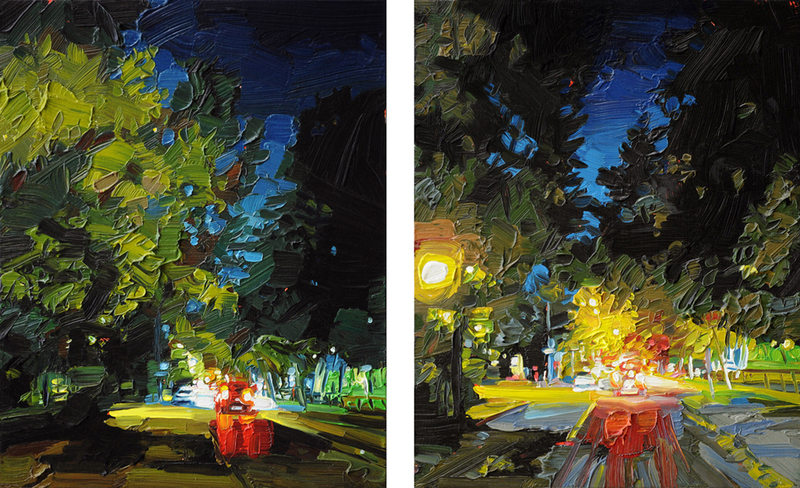 In this exhibition, Korkola returns to night based paintings, this time documenting on foot with a focus on the intersection of nature and cities. 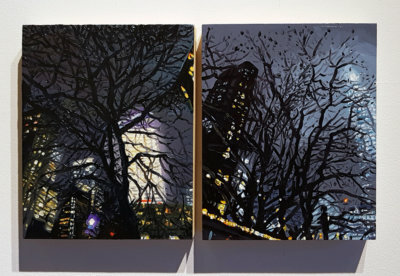 Each city she has painted including New York, Chicago, Toronto, Detroit, San Francisco and Belgrade, has a specific feeling while still remaining relatively anonymous. 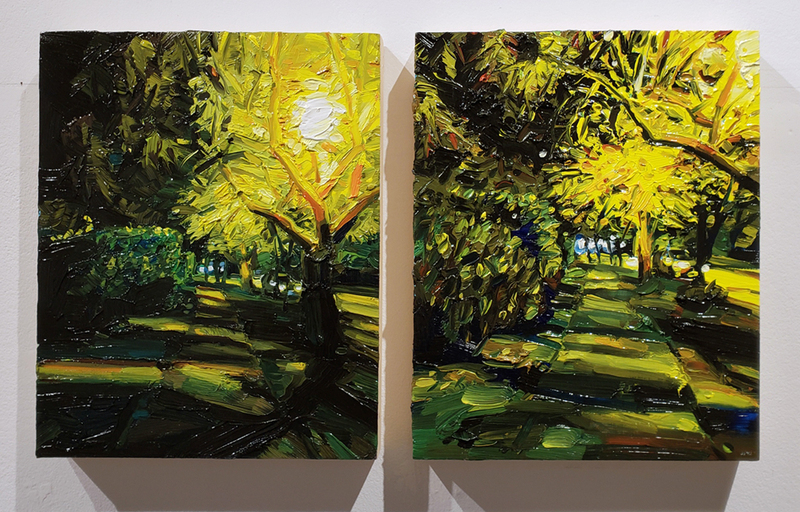 The interplay between trees and artificial light is perhaps what excites Korkola most, prompting concentric, impasto brushstrokes in electric colour. 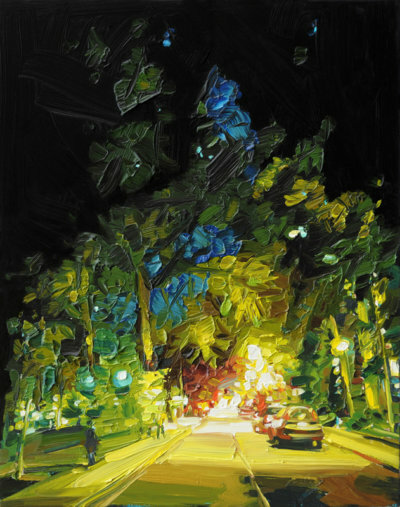 Mara Korkola graduated from the Ontario College of Art, Toronto (AOCA); Wichita State University, Kansas (BFA) and the University of Texas at San Antonio, San Antonio (MFA). She has exhibited in group and solo exhibitions in Canada, the US and Germany, including Painting as Paradox at Artists Space in New York, Synthetic Psychosis at the Museum of Contemporary Canadian Art, Toronto, Sequence and Passage: Mara Korkola and Monica Tap at Cambridge Galleries in Cambridge, Ontario, and Commuter, a comprehensive solo exhibition of her No Place series of paintings at the MacLaren Art Centre in Barrie, Ontario.